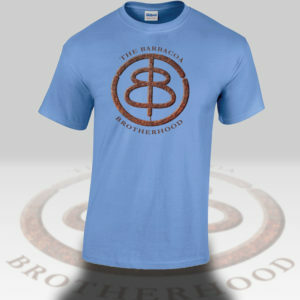 The Death Chefs was the Barbacoa Brotherhood’s original team name. 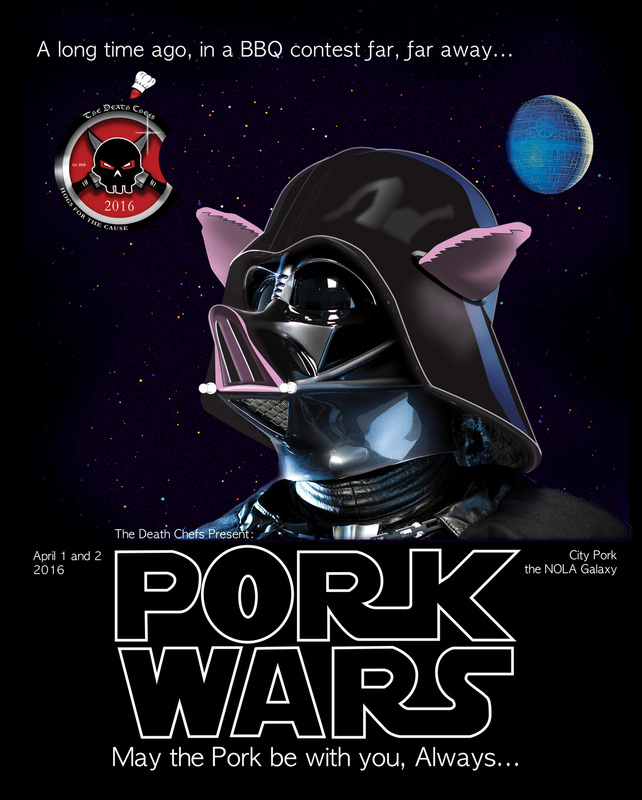 The last year of Hogs the team used the name Death Chefs was the 2015, “Pork Wars-May The Pork Be With You, Always!” theme based on The Empire Strikes Back movie poster. We discovered a stash of these shirts in a box that was inadvertently taped up for shipping and then lay under the shipping table when no shipping label was ever produced. When these classic shirts are gone (The KingDude still wears his every season) they are gone forever so own a piece of Barbacoa history today! The $50 donation from the purchase of this work shirt will go directly to Hogs For The Cause! 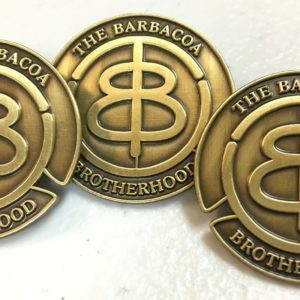 Who Are These Guys (The Death Chefs) “The Barbacoa Brotherhood”?! 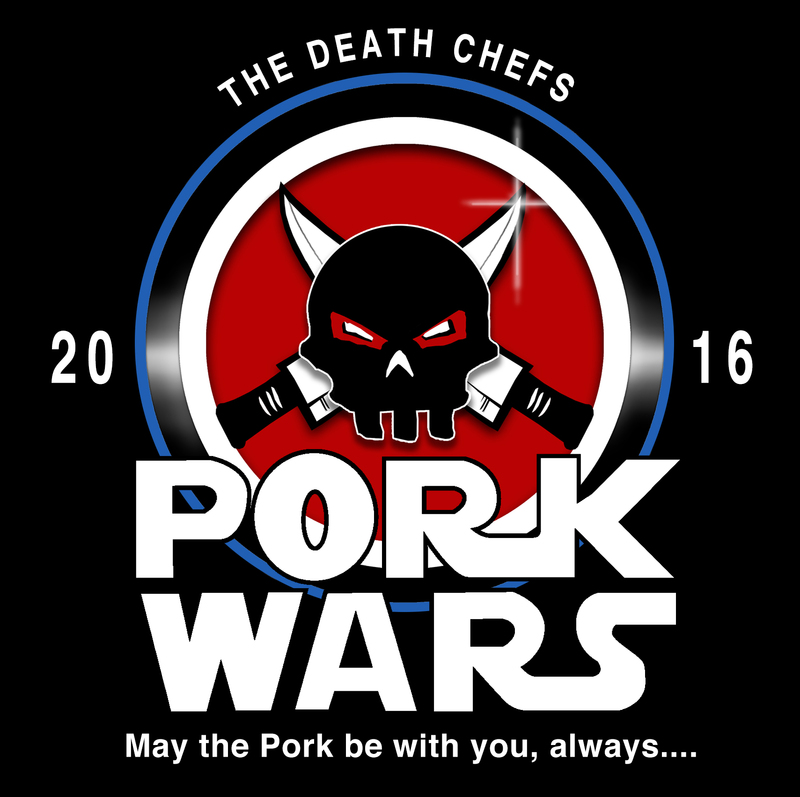 We are a professional cooking team that donates all our winnings and proceeds to charity including the annual Hogs For the Cause. 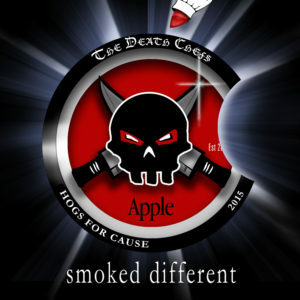 The purpose of Hogs For The Cause is to provide aid and relief of those variable expenses and economic burdens families face while their child is being treated for pediatric brain cancer. While the money devoted to pediatric cancer research is dwindling, there is an even bigger void in the variable expenses associated with cancer treatment. It is our goal to fill this void. As a result of the support and success Hogs For The Cause has garnered in past years, Hogs currently operates as a premier funding source for pediatric brain cancer outreach services in the United States.